Central Vermont Green Cab opened in Montpelier in the summer of 2015, offering local transportion service to Washington County. Since then we have added a vehicle and hired mulitple drivers to expand our availability. We offer service throughout the county as well as rides to and from Burlington and the Burlington International Airport. 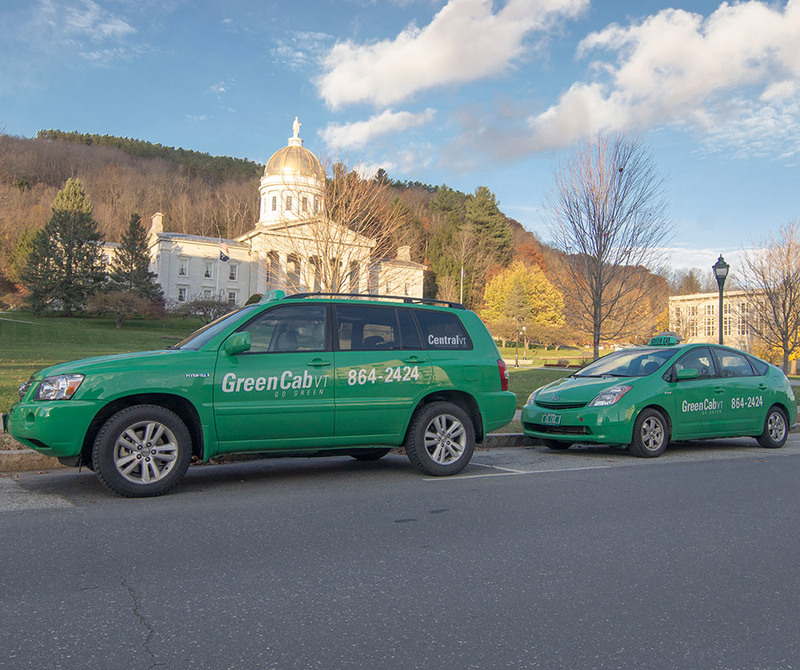 All vehicles in the fleet adhere to the same ecologically aware principles that has made Green Cab the transportation company of choice in Chittenden County. CVTGC operates a Safe Ride Home program for the cadets at Norwich University, and are partnered with local government agencies to provide transportation for individuals in need of transportation to and from their jobs. We would be happy to schedule a pick up for you at the Amtrak station in Montpelier if you are arriving by train. We are equipped to take you and your gear to any of the surrounding ski mountains for a day of fun, or through the beautiful countryside on a tour. You can book a ride by contacting us 24 hours a day at our main disptach number, 802.864.2424.